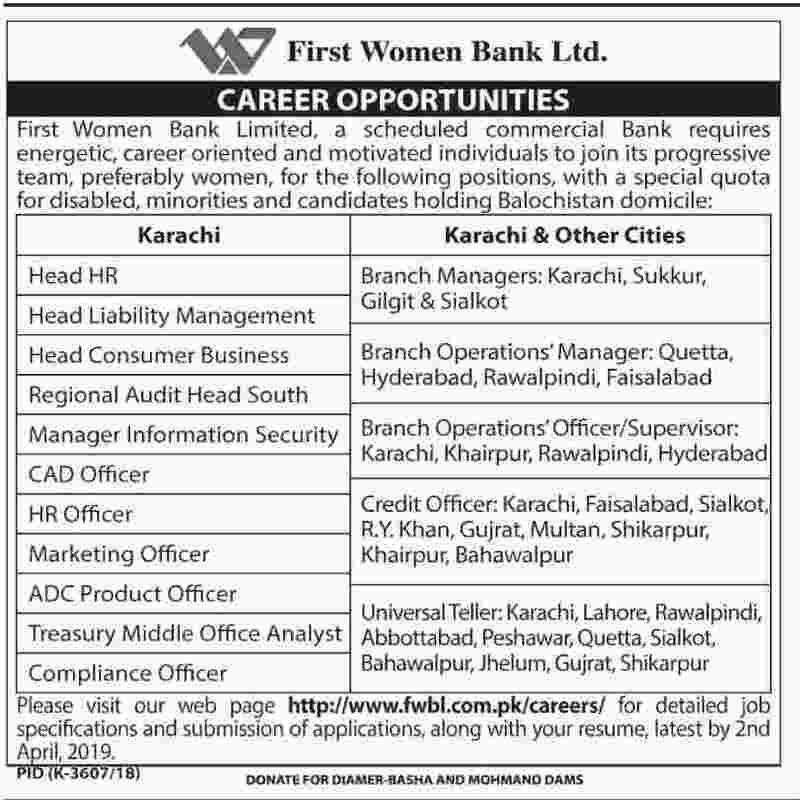 First Women Bank Ltd Jobs 2019 for 100+ IT, HR, Banking Staff & Other Posts (Multiple Cities) to be filled immediately. Required qualification from a recognized institution and relevant work experience requirement are as following. Eligible candidates are encouraged to apply to the post in prescribed manner. Incomplete and late submissions/applications will not be entertained. Only short listed candidates will be invited for interview and the selection process. No TA/DA will be admissible for Test/Interview. 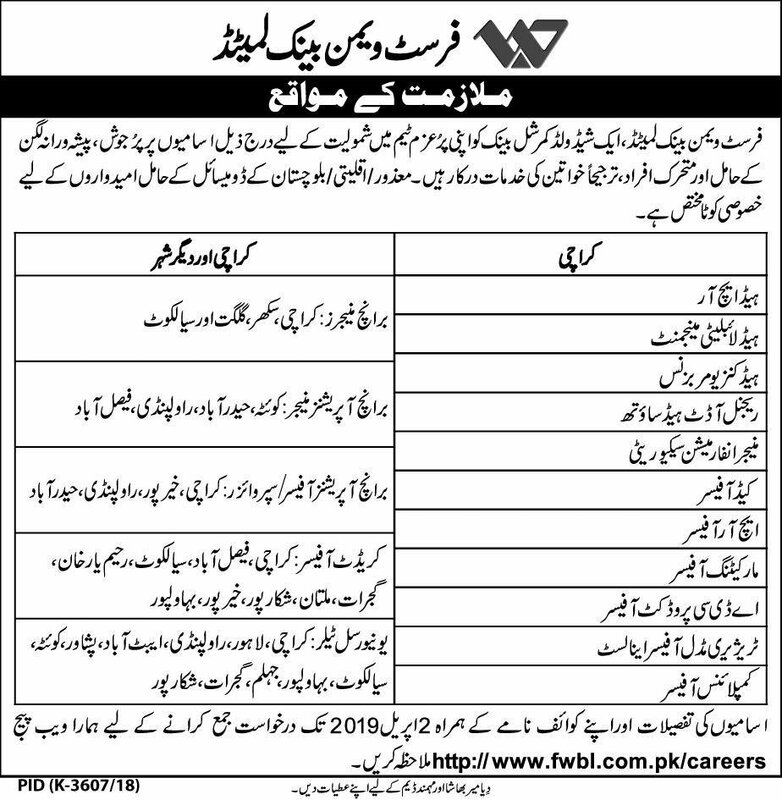 Last date to apply to the post and submit application along with required documents is 2nd April 2019.